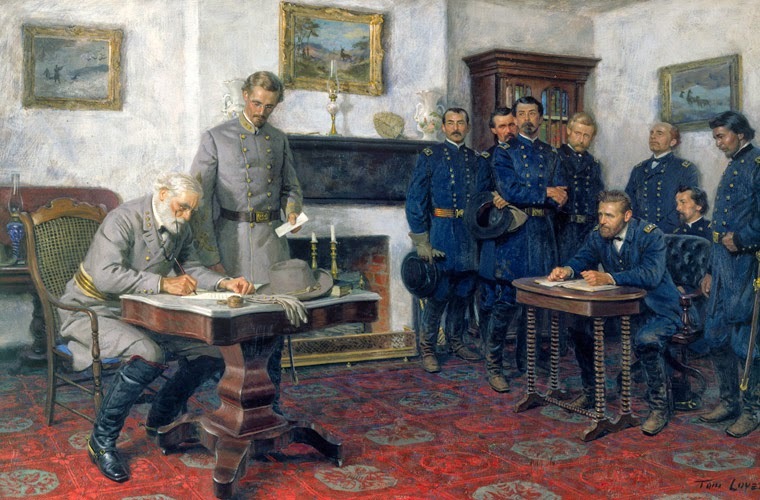 On this day 150 years ago, April 9, 1865, Confederate General Robert E. Lee surrendered his Army of Northern Virginia to Union General Ulysses S. Grant in the parlor of the McLean home in a small western Virginia village called Appomattox Court House. Lee and his 30,000+ men had been on the run and fighting a series of desperate battles after being ousted from their Petersburg, Virginia stronghold exactly one week before. This surrender did not mean the end of the Civil War - it would officially continue for another month - but if the Confederacy's greatest and most respected general, in command of the Confederacy's greatest and most respected army, was surrendering, then everyone on both sides of the conflict knew that for all intents and purposes, the war was over. To explain the ramifications of this historical moment is fraught with peril. To explain the ramifications of this moment opens one up to be called a racist, a supporter of slavery, a supporter of Jim Crow and segregation, and a traitor. But the bottom line is that I believe the surrender scene you see depicted above spelled the death of the united States of America as it was originally envisioned. Ever since that moment 150 years ago today, the federal government, which was a creation of the states, has reigned supreme over its creators. Oh sure, you hear the occasional lip service being given by today's politicians to the sovereignty of our states, and, "That's a state matter, not a federal one," but in the end, the federal government does whatever the hell it wants to do. If you don't believe me, take a look around! The federal government has injected itself into just about every facet of our lives where the Constitution did not give the federal government that power. 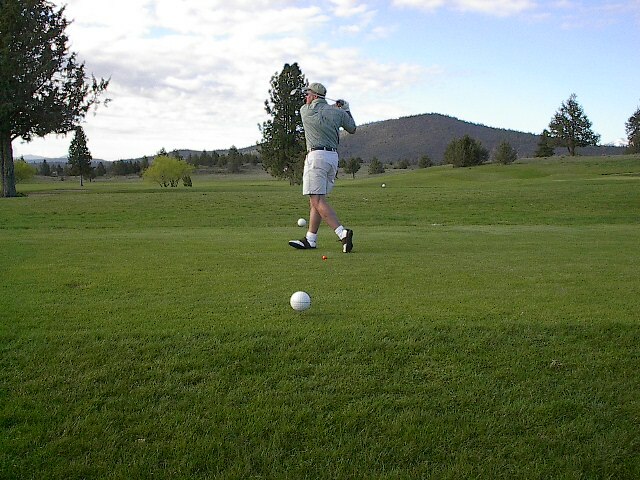 Name a topic - education, health care, retirement, land development, labor and unions, free association, charity - and you will have no problem finding examples of where the federal government has overstepped its bounds in these and other areas of our lives, and has basically told the states to go piss up a rope when they complain. I will say it: I wish the Confederacy had been victorious in that war. Does that mean I am then in favor of slavery? No. Neither were many Confederates. The Confederates were trying to accomplish the exact same thing as their forebears from the American Revolution; they were standing up to the tyranny imposed upon them by an oppressive and overbearing central government. Yet, many of the people today who lionize George Washington and his Continental Army, are the same people who vilify Robert E. Lee and the Army of Northern Virginia. Never mind the fact that there were relatives of George Washington fighting on the side of the Confederacy. Robert E. Lee was one of them! Ahhh, but what about slavery? Any attempt at defending the Cause of the Confederate States of America always comes back to the question, "Does that mean you wanted slavery to continue?" That would have been an excellent question to ask Abraham Lincoln. He didn't invade the Confederacy because of slavery; in fact, he went out of his way to make it very clear that his intention was to, "Save the Union," which of course involved making the power of the federal government supreme over the states. People often forget that quite a few Union states had slavery as well, right up to the end of the war - states such as Missouri, Kentucky, West Virginia, Delaware, and Maryland. Lincoln's celebrated Emancipation Proclamation specifically did not free any of the slaves in those aforementioned states. Additionally, people often forget that during his First Inaugural Address on March 4, 1861, Lincoln called for a Constitutional Amendment that would have prevented the federal government from taking any action to ban slavery in the United States. Ironically, if successfully passed, that would have been the 13th Amendment. But at the end of the war, the actual 13th Amendment that eventually passed did outlaw slavery. Ah, but what was to become of those freed slaves after passage of the 13th Amendent? What people often forget is that Lincoln was calling for the soon-to-be-freed slaves to be removed from the United States, and relocated to either Liberia or somewhere in the Carribean/Central America. That idea died with Lincoln on the morning of April 15, 1865. Opposition to slavery was not synonymous with tolerance toward the black race. Many people in the north who were loyal to the Union may not have liked slavery, but that doesn't mean they wanted black families moving into their neighborhood, or even their state. In fact, during that time period, Lincoln's own state of Illinois had laws on the books making it illegal for any black person to move to that state; same with Oregon. As is usually the case in matters of history, the story of the American Civil War/War for Southern Independence has been oversimplified into a morality play with the angelic, slavery-hating, black person-loving North, against an evil, slavery-loving, black person-hating South. History is never that simple. Living 150 years after these events, I am glad to have the opportunity to be able to step back and look at the big picture, and what I see is an all-powerful federal government that has become increasingly oppressive ever since the end of the Civil War, and especially more oppressive ever since the 1930s. And who is being oppressed? The American people - white, black, brown, yellow, red - all of us. It's no coincidence that people today who are most horrified at the idea of the Confederacy winning the Civil War are often the very same people who are most in favor of not only our federal government having the power it currently has, but of giving it even more power. By and large, people like this have dominated the running of our federal government (and many of our state governments) ever since Robert E. Lee sat across from Ulysses S. Grant on this day 150 years ago. It was on this day 150 years ago, April 2, 1865, that Union forces made their way through the Confederate battle lines, thereby ending the Siege of Petersburg, Virginia that had been going on since June of 1864. 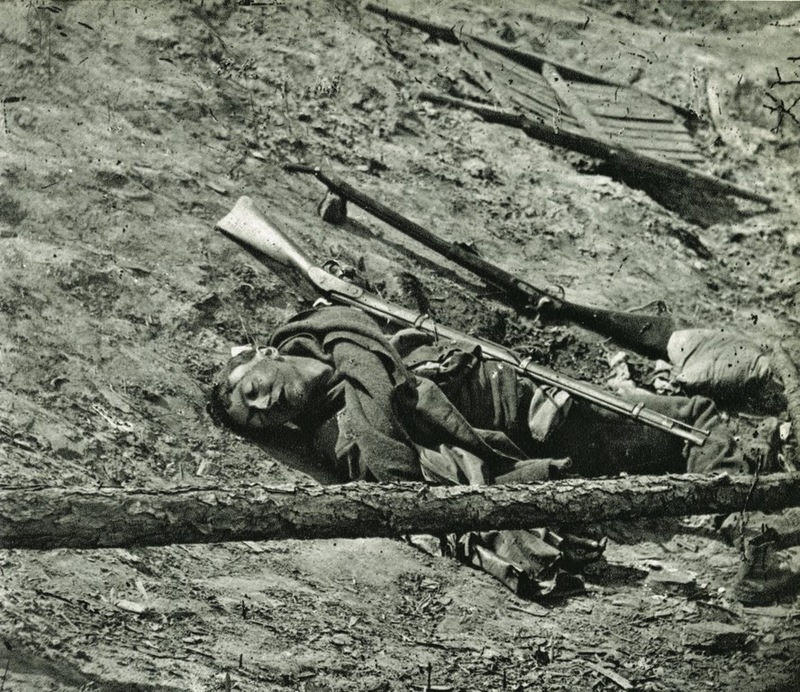 The unfortunate soul you see on the right was one of the many Confederate soldiers killed that day, along with numerous Union soldiers as well. Once the Confederates under General Robert E. Lee were forced to vacate Petersburg, they began to retreat westward in hopes of resupply. A week later, the 30,000 or so bedraggled Confederate soldiers who comprised the once 75,000-strong Army of Northern Virginia were forced to surrender to Ulysses S. Grant, who had taken over command of all Union forces the year before. The photo shown above has always haunted me as I know that this young man died with only a week left in the war. Many more would die before that week was over.